Suitable For Any Size Garden, Balconies, Verandahs, Or Restaurant As An Outdoor Furniture. 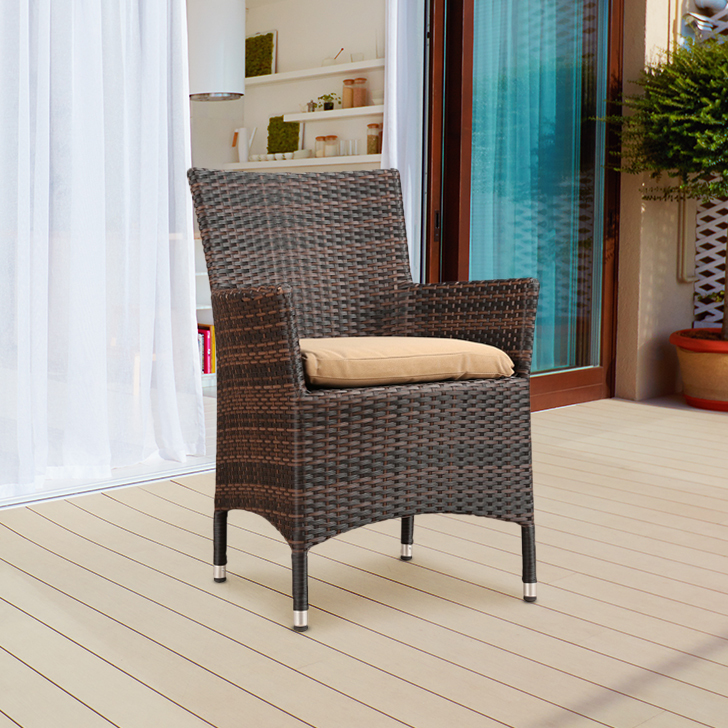 Quality Pe Rattan Gives A Smooth Elegant Finish. Chair : Chair Comes With A Brown Colored Cushion Seat , Ensures Seating Comfort. Cushion Is Covered With A Cotton Fabric. Pvc Bushes Used At Legs Bottom To Avoid Floor Scratches. This Dark Oak + Brown Color Rattan Garden Set Seamlessly Blends With Outdoor Space And Adds A Real Sense Of Sophistication. Needs Less Maintenance And Easy To Clean. Powder Coated Aluminum Frame Makes It Rust Free, Light Weight And Durable. Comes With 1 Year Warranty From Home Town Against Manufacturing Defects..